To help answer some of your questions about Duck River EMC’s advanced metering, we have provided a list of the most commonly asked questions. If you would like other details about the advanced meter program, please call us at 931-680-5895. Why is DREMC replacing my electric meter? An advanced meter offers wireless communications capabilities between your electric meter and DREMC. Rather than driving to each meter every month, DREMC can read the meter electronically from our office. Although we still encourage you to call to report outages, this wireless communications technology notifies DREMC when your power is out. This is especially important during storms when outages may occur. No. There is no cost to the member to receive the new advanced meter. When will my advanced meter be installed? Advanced meter installations are scheduled based on billing routes and will take place in phases over the next 12 to 15 months. For a timeline map of when advanced meters will be installed in your area, click on the technology menu tab above. About three weeks prior to the installation of your meter, you will receive a postcard in the mail from DREMC letting you know that we are soon on the way. Also, about a week before the installation, you will receive a phone call from DREMC letting you know approximately when we will be there. Please update your phone number in DREMC’s database to ensure you receive this call! 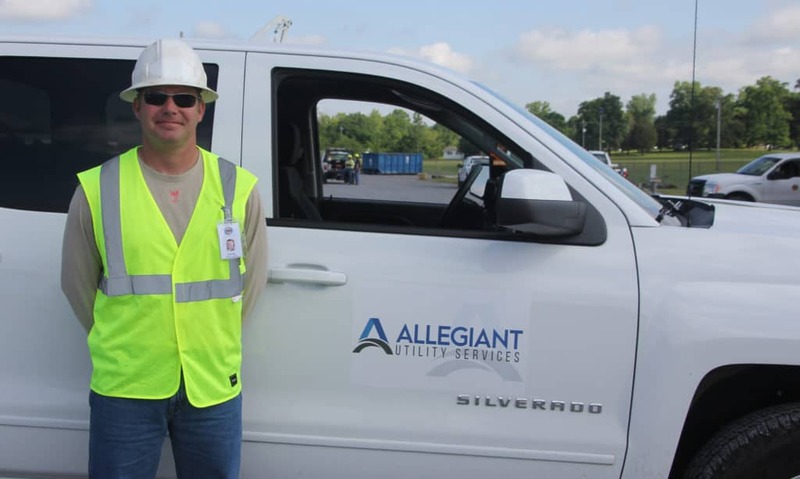 DREMC has employed a licensed contractor, Allegiant Utility Services, to change out the meters. These contractors will be in uniform and will have photo identification cards. 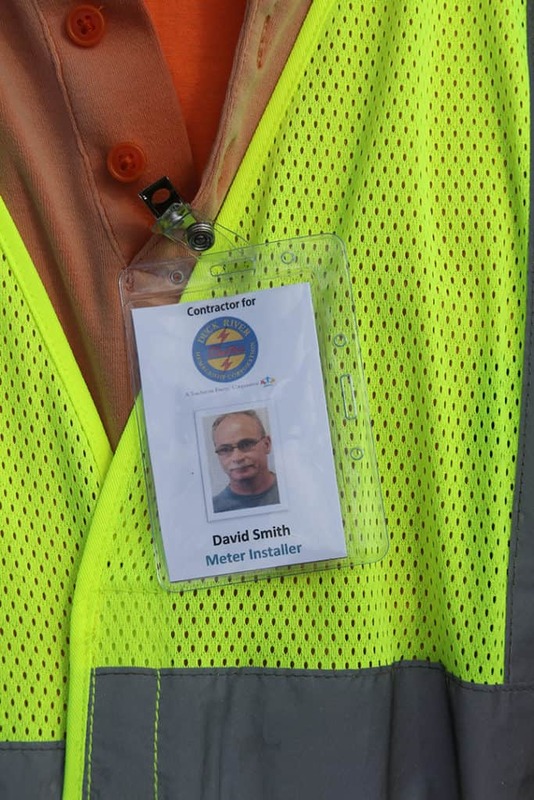 The installer will knock on your door to let you know he or she is on the premises but will not request to enter your home nor will you be asked for any personal information. If you have any questions or concerns regarding the identity of anyone claiming to represent DREMC, please call your local office for verification. Do I need to be home when the meter is changed? No, you do not have to be present during the meter change. We will replace the meter and leave a door hanger stating we have been there. If we cannot access your meter, we will note that on our door hanger, and you can call us at 877-219-2631 to schedule an appointment. Is this going to affect my cost for electricity? No. We are installing these new meters as a benefit to our members, and you will not see any change in your cost of service due to the meter upgrade. Will my bill look any different? No. Your bill will not look any different after your new meter is installed. Will I be billed any differently with a new advanced meter? No. Even though your new meter has the capability to measure energy use at shorter intervals, you will continue to be billed based on your monthly kWh usage. Commercial accounts that are currently billed a demand charge will continue to be billed demand and energy charges. Do members have a choice in getting an advanced meter? Yes. Our goal is to install advanced meters on every account. If a member chooses not to have the meter installed, a $25 monthly meter reading fee will be added to the bill to cover costs; this fee is equal to our current service charge per trip. The advanced meter will provide the platform for many new benefits to our members now and in the future. Therefore, new meters will be installed on all DREMC accounts, which will eliminate monthly manual meter reading and many miles of travel each year covering the 6,000 miles of electric lines on our system. It is also important to understand that while this technology is advanced, it is not new; it has been around since the 1980s. In fact, according to the U.S. Energy Information Administration, advanced metering across the nation has reached market penetration levels of over 75%. If you have further questions about advanced metering technology, you may contact us at 931-680-5895. Will the new meter change or affect my current electric service? No. With your new meter, you will experience no changes to your electric service. DREMC is still measuring the same thing, electric consumption, just with newer technology. Currently, DREMC has a combination of mechanical meters as well as electro-mechanical meters; both meter types record kilowatt hour (kWh) consumption. Yet, to capture these readings, we must send a meter reader to the site. The advanced meters not only record kWh usage but also store the data and then securely transmit it back to DREMC’s office, eliminating the need to drive to each location to obtain meter readings monthly. Readings will be displayed in a digital format on the face of the new meters, and members will be able to access their electric usage data via their account login on DREMC’s website and on the mobile app on their smart phones. Also, our Member Service Representatives in all the DREMC offices can access more current readings and help members understand more fully their energy usage. How does the new advanced meter work? An advanced meter offers wireless communications capabilities between your electric meter and DREMC. Information is secured and encrypted and then sent back to the cooperative by radio frequency (RF). Do advanced meters constantly emit RF? No. Advanced meters communicate intermittently with each radio frequency (RF) signal typically lasting from 2 to 20 milliseconds. Their intermittent signals total, on average, 45 seconds per day. For the other 23 hours and 59 minutes of the day, the meter is not transmitting any RF. I use a cell phone every day. How does the RF from a cell phone compare to the RF from an advanced meter? The radio frequency (RF) from an advanced meter is much less than that of a typical cell phone. In fact, studies show that you would need one of the advanced meters on your home or business for more than 1,000 years to get as much exposure to radio waves as a typical cell phone user gets in just one month. The advanced meters have been tested and meet American National Standards Institute (ANSI) regulations. If you have billing concerns, contact your local office right away to discuss. Will meter readers ever need to read the meter manually again once the new meter is in place? Meter readers will no longer travel to every meter for a monthly read. All meter readings will be digitally transmitted back to DREMC’s headquarters. However, utility personnel will still need access to the meter for routine maintenance, inspection, repairs or emergency situations. Also, the meters will be periodically read manually for testing purposes. Therefore, the meter must remain clear of obstructions just as they have in the past. Are all DREMC members getting a new meter? Yes. All residential and commercial members will be getting an advanced meter. Advanced meters are read every day. Your new meter will retain the same billing cycle as your old meter, meaning that the reading date reported on your bill will indicate the end of the billing period. The billing date and due date will not change from what you have been accustomed. No. 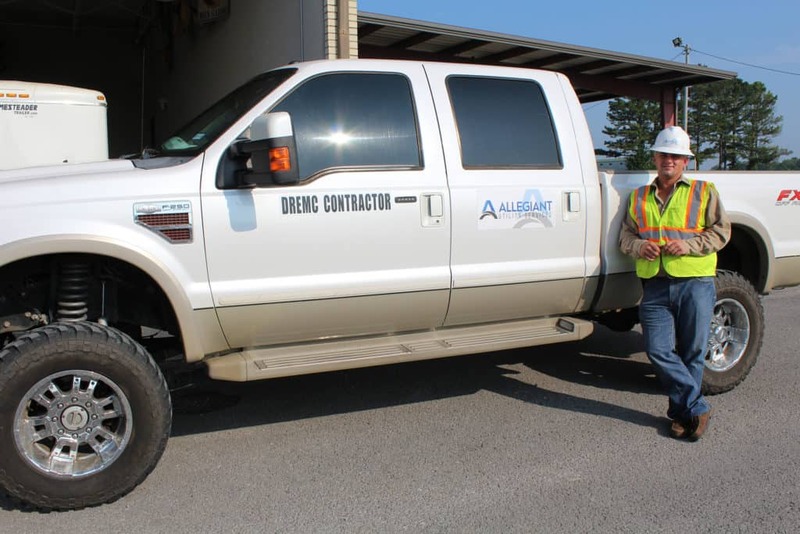 Reasonable access to equipment still must be maintained to allow DREMC personnel to access the meter for routine maintenance or repairs and to disconnect the meter in case of an emergency. Are there any potential health impacts from a meter than can receive and send data? No. Advanced metering technology leverages low amounts of radio frequency (RF) to enhance wireless communications. DREMC has thoroughly explored the safety of its advanced meters and complies with Federal and International health organizations’ guidelines for safety and security standards. Research conducted by the Food and Drug Administration (FDA), the Federal Communications Commission (FCC), the World Health Organization (WHO), the American Cancer Society and others have all verified the safety and security of RF technology used in advanced meters. In fact, an advanced meter equipped to send and receive data has an energy level hundreds of times less than the energy level of cell phones, and the meters are installed on the outside of your house. The amount of RF in your advanced meter is exponentially less than other common appliances in your home such as microwave ovens, cordless phones, garage door openers and even baby monitors. Yes. Routine inspections and periodic manual readings of all meters and services will continue in order to look for safety hazards, theft or other problems. Can the co-op disconnect and re-connect electric service using the new meters? Some of the advanced meters have the capability of remotely disconnecting and re-connecting electric service. DREMC researched historical data to determine the locations that most recently have required a disconnect and reconnect. Rental properties and properties with frequent resale were identified for this feature. Yes. The advanced meter is capable of reporting to DREMC when electricity is interrupted to the device. Will the new meter notify the member when the power goes out? No. The advanced meter is not able to report to the member that the power is out. However, outage notification is already available to DREMC members by signing up for alert center reminders on our website (Login to your account under My Account) or via DREMC’s mobile app. Yes. Safety and security of our members is a priority at DREMC and always has been. DREMC abides by the strictest industry guidelines for data security and privacy. All reading data that is transmitted to the cooperative is encrypted and secure and is subject to the same privacy laws and confidentiality policies as all other member information. Our goal is to upgrade our electric distribution system to make it safer, more secure, more efficient and more reliable. The advanced meters are part of this effort. If you would like further information, please call us at 931-680-5895.